Disney has announced a new hard ticket event at the Magic Kingdom. 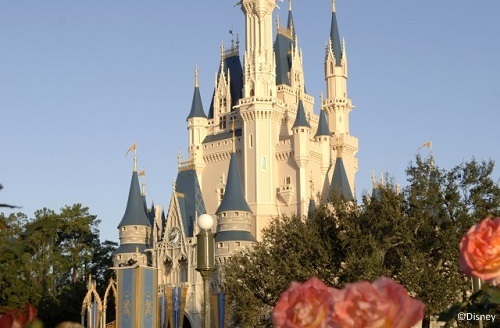 The Disney Early Morning Magic event begins April 26 on Tuesday and Saturday mornings. Guests attending the Early Morning Magic will have access to three attractions – Seven Dwarfs Mine Train, Peter Pan’s Flight, and The Many Adventures of Winnie the Pooh – plus breakfast at Pinocchio’s Village Haus. The breakfast menu features cheese and cured meats, scrambled eggs, vegetable frittata, bacon, sausage, waffles, fruit, and pastries. The three rides will be open from 7:45-10 a.m. while breakfast is served starting at 8:30 a.m.
Reservations are now open for this event and guests much purchase a separate ticket (separate from your regular theme park admission). Tickets are $69 for adults and $59 for kids ages 3-9. Reservations can be made at the Walt Disney World Resort website. This entry was posted on Thursday, April 7th, 2016 at 10:00 am	and is filed under Planning, Theme Parks, Tickets. You can follow any responses to this entry through the RSS 2.0 feed. You can leave a response, or trackback from your own site.